Bathrooms are hot and humid environments and this is a primary consideration when considering flooring options. Whilst solid wood, wood laminate and carpet can be attractive and practical choices for the rest of your house, they will not be able to cope with steam and dampness. Water splashes can be very damaging to wood-based flooring causing unsightly swelling and warming. Wet carpets can start to rot and smell and become infested with nasty bugs. 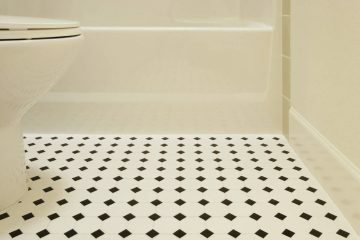 At Cherry Carpets our expert staff are on hand to advise you of the best flooring options for your bathroom. We recommend you choose from wood, laminate or vinyl. Key considerations are that the material should be durable, water resistant and non-slip. With each material there are a range of design options to match your vision and we will be only too happy to advise. 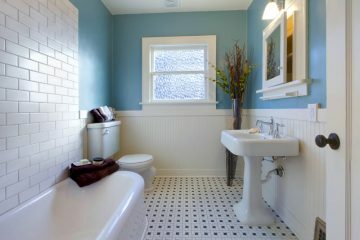 Bathroom flooring must be laid with special care and attention. We have a team of expert installers on hand who are skilled in every aspect of the job including cap and coving. We would not advise real wood for your bathroom. However we stock a range of engineered wood flooring which has a top layer of hardwood to keep moisture out. The wood surface can be sealed with a special polyurethane finish to protect against spills and splashes. Wood floorings are an elegant and beautiful choice. Nevertheless they are not completely water resistant and we would not advise wood if you have small children. Laminate is a practical alternative to wood, offering the same look with more practicality. We have a range of laminates with water repellent surfaces. These laminates can withstand damp towels on the floor or the splashing caused by boisterous children. Laminate can be overplayed over an existing floor and is quick and effective to install. Vinyl is hygienic and waterproof. We supply vinyl in sheets or tiles. Our range of cushioned vinyl provides a soft warm surface for tired feet. Vinyl is an excellent choice for bathrooms and will be impervious humidity and water damage. However careful installation is required to avoid air bubbles or tearing. At Cherry Carpets we have a team of expert of expert installers who are experienced in fitting vinyl. 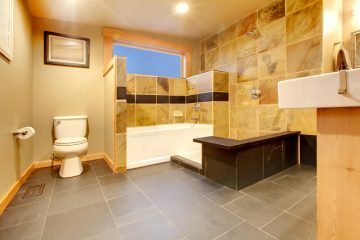 Wetrooms provide a clean and modern alternative to bathrooms. In a wetroom there is a shower area which is completely level with the rest of the floor. 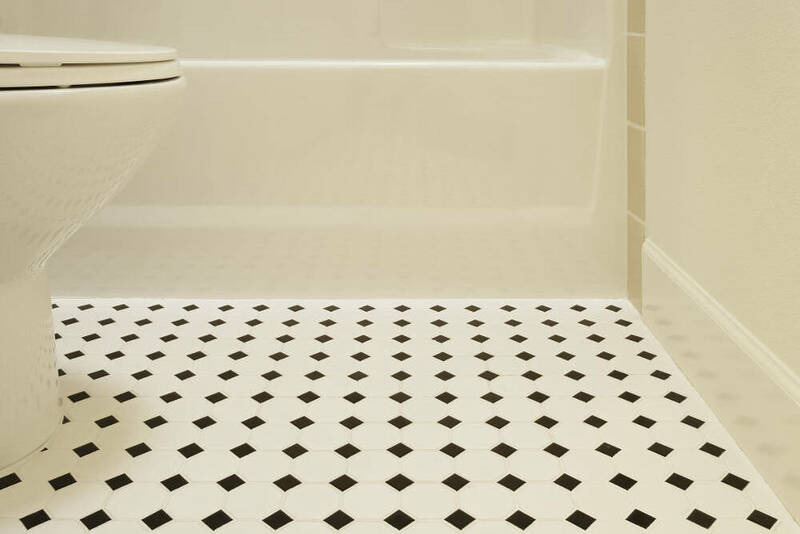 In order to facilitate water drainage, the floor will be gently sloped towards the drain. The floor is covered with a special flooring which is both waterproof and slip resistant. Wet rooms can be a stunning design statement and are very much ‘on trend’. They can also provide a practical solution for those of us who are less mobile. 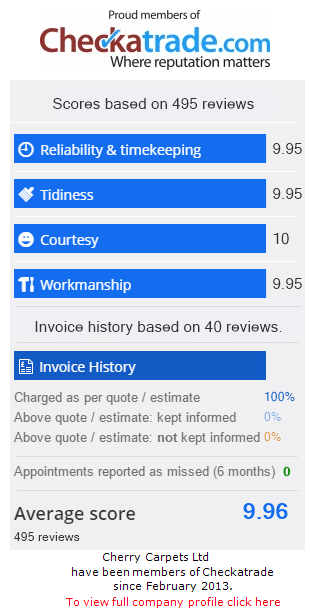 So, if you are considering a new floor for your bathroom or wetroom then please call us on 020 8249 9726 or click here to complete the contact form and we will be in contact within 24 hours.